Looking from Kyle towards Skye, the concrete bridge across Loch Alsh has an elegance about it that does not detract from Skye’s mountains beyond. For me better a bridge in front then a turbine on a ridge line but that remains a separate debate. 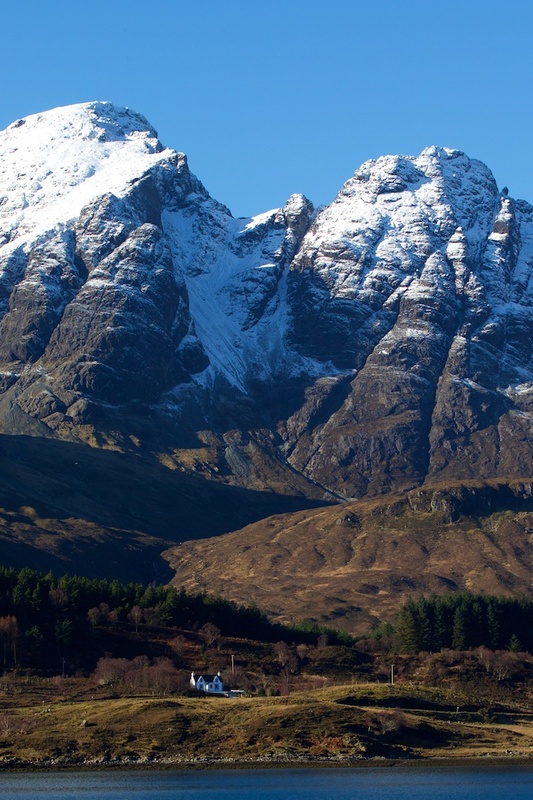 However once across the bridge, you travel closer to the main mountains, Blaven in this case, it quickly becomes evident that the natural grandeur of nature’s vista will always dwarf what man can and has achieved. The magnificence of the pyramids, the Taj Mahal, the modern day Burj Al Arab or indeed the simplicity of a white washed home can not compare to the balance and brilliance that nature brings to its own designs. And then as you wander to the south of Kilbride, towards Loch Slapin, the stark contrast of man’s insatiable appetite for resources becomes all to apparent. 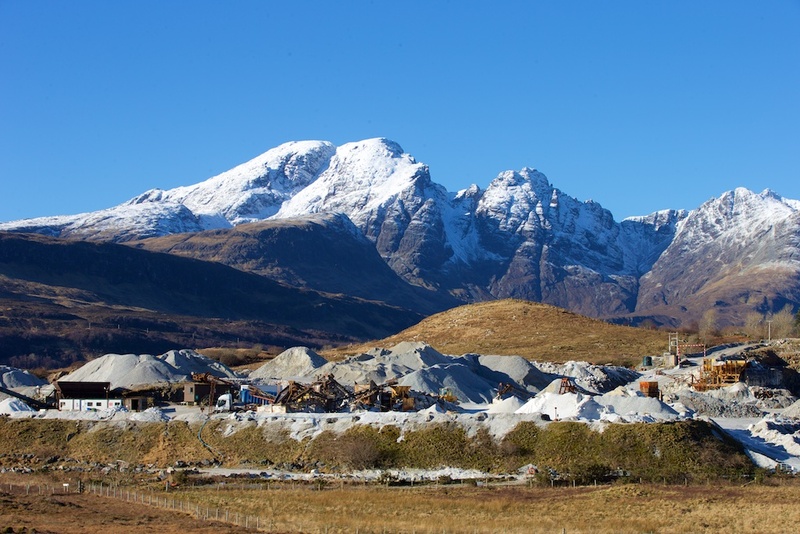 Leigh’s quarry provides high value aggregate for cladding and rough mix concrete. The need to only extract the limestone and not the black dolerite is driven by cosmetic market forces and increases the need for large and complex machinery. But it makes me wonder and ponder. I regularly benefit from travelling first across the Skye Bridge and then down the ever increasing network of Motorways and dual carriageways, on frequent journey’s South; How many ‘Blavens’ have been crushed to make my passage that little faster and a little smoother? It’s a difficult debate and I appreciate the need, even for turbines on ridge lines, but we must surely never loose sight of what was there before, before we forever loose sight of what was there before!